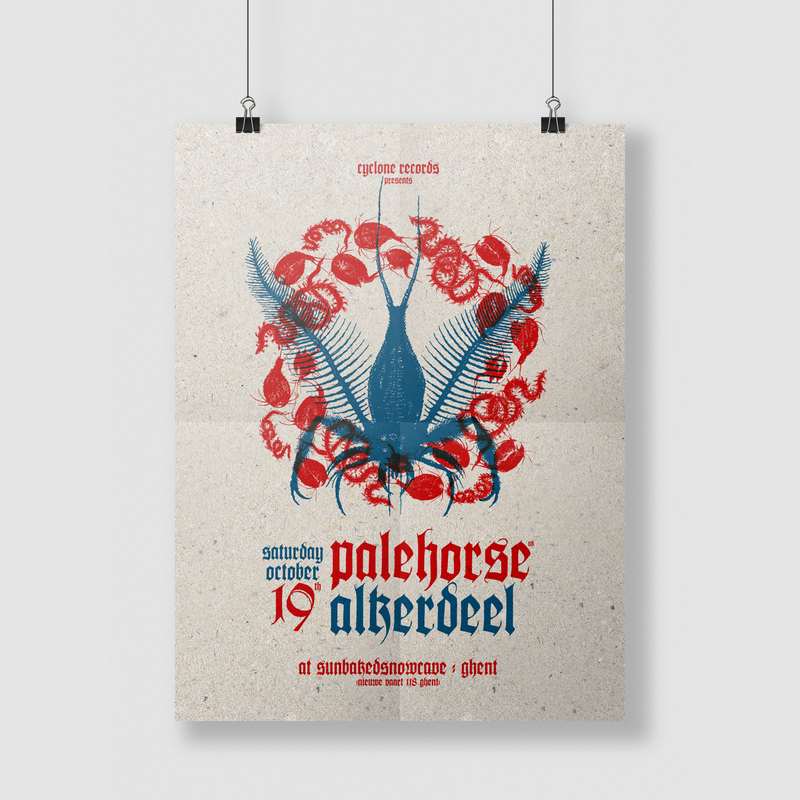 Silkscreened poster for the Alkerdeel-Palehorse gig at Sunbackedsnowcave, Ghent (2013). 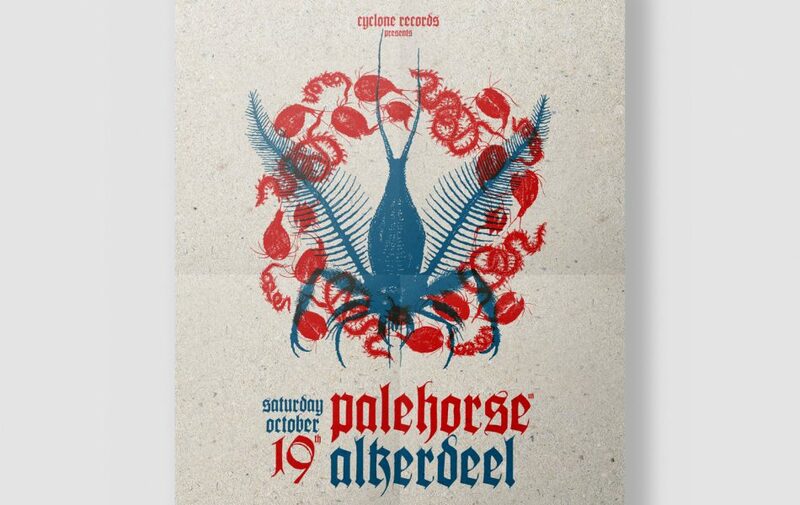 The illustration is taken from the ‘Dyodyo Asema’ album by my band Alkerdeel. This one of the first prints I made at home, all following a non-toxic procedure. Paper is used from a drawing sketchbook, with a rough and recycled feel.